Suffering a fractured vertebra in the neck is most often the direct result of a traumatic injury to the upper region of the spine. However, there are also less common reasons for fractures to occur in the cervical vertebral column, including surgical interventions, old age, porous bones and obesity. Often, many of these factors act in combination to produce the fracture. While no fracture is insignificant, most single fractures in the neck can be managed conservatively and do not pose significant risk for complications in healthy patients. Multiple fractures, serious fractures, fractures that damage nerve tissues and fractures in compromised patients can all create the ideal scenario for dire consequences to occur to overall health and functionality. 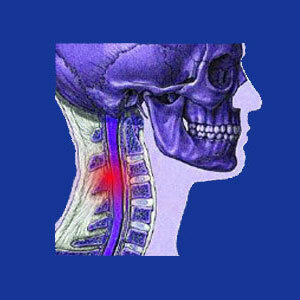 This patient guide explores the incidence of cervical fracture in terms of location and causation. We will also profile the effects of fractures on the patient and the types of treatments often employed in the traditional medical sector. Cervical vertebral fractures usually occur due to focal trauma to the skeletal structure of the spine. Car accidents, significant falls, sports traumas, acts of violence and other causes of severe whiplash are all usual culprits for vertebral fracture causation. Other contributing and causative factors for cervical bone fractures include osteopenia and osteoporosis, general age-related skeletal deterioration, iatrogenic surgical causation, obesity and certain disease processes. Often these factors work together or with the addition of trauma to produce worse versions of a typical fracture scenario. Extreme compression fractures in the elderly are a good example of this phenomenon, where age, poor bone density and obesity are often enough to cause whole regions of the spine to collapse under their own weight, potentially causing dire problems for the patient in terms of neurological functionality, mobility and comfort level. 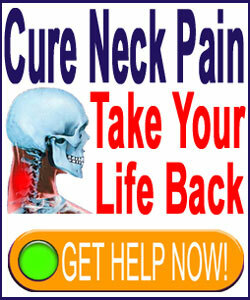 Fractures are most often reported in the middle and lower cervical vertebrae. Most fractures affect the fin-like projections on the sides or rear of the vertebral bones, but some will affect the actual vertebral bodies, creating more significant scenarios that might require drastic treatment. Minor fractures may or may not be painful. If induced by trauma, pain is virtually always present and might endure for days or weeks during the healing phase. Compression fractures have a greater chance of being only mildly symptomatic or completely asymptomatic. Fractures to one or more vertebral bodies might create an unstable spinal condition to occur. These fractures can influence the side-to-side and front-to-back curvatures of the spinal column and might greatly diminish weight bearing capacity of the backbone. Multiple or extreme vertebral fractures in the cervical spine are usually catastrophic occurrences, even when they do not influence the nerve tissues directly. Virtually all of these scenarios require dramatic surgical interventions to stabilize the spine and prevent damage from traumatizing the cervical cord or nerve roots, if they have been spared of injury thus far. Any fracture can affect the nerve tissues of the spine, although the chances go up as the severity of the event increases. Fractures can impinge upon or damage nerve roots through compression, laceration or complete severance. Likewise, fractures can create acute stenosis within the central canal space, leading to spinal cord compression, laceration and possible severance. Patients who suffer severe trauma to the cervical cord are most often treated for myelopathy, myelomalacia and possible syringomyelia or hydromyelia if the cervical cord is punctured. Most fractures are self-stabilizing and require no formal treatment with the exception of monitoring and possible symptomatic treatment for pain relief. Some fractures with specific criteria may require minimally invasive surgical interventions to remove harmful fragments from sensitive areas of neurological placement or to reduce the fracture to assist in healing. Only the worst fractures will require true surgical treatment, but these cases represent a very serious situation for the patient. A minority of these fractures can be managed using less invasive care approaches, such as kyphoplasty and vertebroplasty. The rest will require more dramatic interventions, such as spondylodesis or corpectomy. These are the most damaging and risky of all spinal procedures, so they should only be reserved for true surgical emergencies. If nerve trauma or cord trauma occurs, surgery might also be indicated to minimize further risk of neurological damage and to assist in organic healing of the injury. Unfortunately, trauma to the spinal cord is often permanent and is often made worse through surgical interventions, so multiple opinions should always be sought before undergoing any cord-based surgical technique, such as those targeting a spinal syrinx. After the acute phase of a fracture injury, physical therapy might be necessary and helpful to assist the patient in regaining strength, range of motion and functionality which may have been lost or diminished.